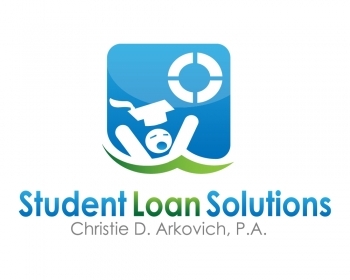 Student loans Category Archives — Page 2 of 12 — Reboot Your Life: Tampa Student Loan and Bankruptcy Attorney Blog Published by Tampa, Florida Bankruptcy Attorney — Christie D. Arkovich, P.A. On January 31, 2019, Judge Stong of the Eastern District of New York denied the Motion to Dismiss filed by SLM Corporation, Sallie Mae, Inc., Navient Solutions, LLC and Navient Credit Finance Corp. In this Memorandum Decision, the Court dealt a blow to the private student loan defendants when it permitted Plaintiff to proceed with its case (note a Motion to Dismiss is a preliminary motion and the case is far from over). In re Homaidan, Adv. Pro. No. 17-01085 (E.D. N.Y. 2019). A nearly identical ruling was made the same day in In re Tashanna Golden, Adv. Pro. No. 17-01995 by the same Judge. These cases dealt with Tuition Answer loans which the Plaintiff alleges are not “qualified education loan[s]” under the Bankruptcy Code Section 523(a)(8)(B), and for that reason, they were discharged in his Chapter 7 bankruptcy case. The Plaintiff argues that loans of this nature are excluded from the scope of his bankruptcy discharge and therefore any attempt to collect the debt after the bankruptcy discharge amount were impermissible and a violation of the discharge order. What if You Can’t Afford to Not Work – Can You Still Obtain Total and Permanent Disability Discharge of Student Loans? Discharge by disability is something that I don’t see enough borrowers take advantage of to eliminate student loan debt. Today, there was a story in the Wall Street Journal, “Over 60, and Crushed by Student Loan Debt” focusing on the large increase of borrowers over age 60 who have student loan debt and are facing garnishment by social security. For many who are faced with this dilemma, there can be easy solutions. First, there are up to eight different income driven plans which for someone on social security, may result in a zero payment to close to it. The key is making sure you pick the correct plan, and ignore a servicer who tells you that your loans are ineligible for IDR. There is always a way. Remember the servicer represents the creditor and not you. You are not their customer. Their legal position in pending lawsuits is they don’t have to explain all of your options. Reach out to a qualified student loan attorney to learn what you need to know. Second, and perhaps even better, many people in this situation will qualify for a Total and Permanent Disability (“TPD”) Discharge for federal student loans. Some are afraid of doing this feeling they still need to work part-time to pay their other bills. No problem, the Department of Education allows some income from employment – up to the poverty guidelines for a family of two which in Florida for 2019 is $16,910. I thought it was higher, but it’s still likely high enough for most. Also, even if you are a family of one, they use a family of two. Why I don’t know, but they do. There is a three year monitoring period where you are required to annually certify that you have not exceeded that in employment earnings. Note, this does not include income from passive investments. And perhaps the best news of all, a TPD discharge is tax free through 2025 per certain budget laws passed in early 2018. How Does the Student Loan Bubble Differ From the Foreclosure Crisis? One key difference in the foreclosure crisis versus the student loan bubble is that many believe there is no possibility of relief. That is something that we seek to change every day for our clients via affirmative lawsuits for discharge of what is really consumer debt as it was debt issued beyond the true cost of education, settlements for pennies on the dollar for private student loans owned by NCSLT or other investment trusts, lawsuits for consumer law violations such as the FCRA, FCCPA, FDCPA and the TCPA, and making sure our clients obtain all forgiveness possible. But for many others who are not aware of these options, it is a common mis-perception that there is no way out. In examining “What a Student Loan Bubble Bursting Might Look Like,” Allie Conti quoted Persis Yu, a staff attorney at the National Consumer Law Center, in arguing that short of fleeing abroad, or going underground, you can’t ever walk away from student debt. Studies show that nearly 40 percent of borrowers are expected to default on their student loan payments by 2023. For those who do not believe that we are in a bubble, I ask how do you explain such a high default rate? The cost of education is simply creating an absurdly high student loan balance for many. Student loan servicers push forbearance like a drug – which continues to increase the balance. Interest is capitalizing at every turn – whenever someone comes off forbearance or is late in renewing an income driven plan. Whether we are in a bubble or not, it’s clear that the current system cannot continue unchecked — trapping a generation of students in servitude, straining taxpayers and the solvency of our own government. By suspending healthcare workers’ licenses, which by the way only Florida has chosen to pursue this draconian measure, economists fear that many will be put out of work. At a time when we are told there is a shortage of health care workers. And in the State of Florida which likely has a greater than average number of health care workers caring for our elderly in nursing homes, assisted living facilities and rehabilitation centers. Can I Obtain Federal Student Loans During or After a Bankruptcy? Generally, approval is needed from the bankruptcy court to take on any new debt in the form of a new federal or private student loan. This would include the filing of a refinance or even a consolidation application – as these are considered new loans. ECMC, the guarantor of FFEL government backed loans, has a specific policy regarding regaining Title IV eligibility during a bankruptcy. Whether a borrower is in a Chapter 7 or 13, they are required to make six consecutive payments in order to regain Title IV eligibility. If the student loan debt is not listed, or if it is listed in the bankruptcy, but the plan provides for 0% to be paid to general unsecured creditors, then the borrower is not considered to have established a “satisfactory repayment arrangement” through their bankruptcy plan. What Should You Do With Your Federal Student Loans When Furloughed? You still need to pay your student loans when you are furloughed or else you risk a default. But if you are a federal employee, take this opportunity to ask your servicer to recalculate your IDR plan while you’ve got zero income!! Even if the shutdown ends next week, your zero payment would continue for the remainder of your 12 month plan. What to Look For In Hiring a Bankruptcy Attorney? When you are thinking about hiring a bankruptcy attorney, what should you consider? – besides all the regular stuff like client reviews, years of practice, cost, availability, knowledgeable, friendliness of attorney and staff etc. One thing to keep in mind is what other areas does that law firm handle and could that help you fix your situation. As you can see from the chart above, many bankruptcy attorneys just take bankruptcy cases. 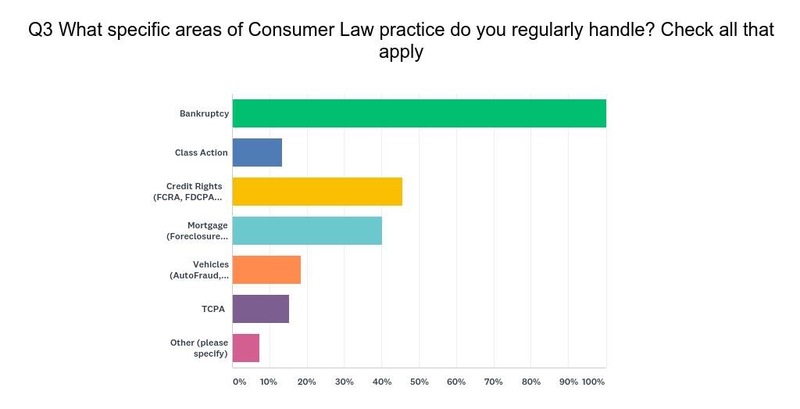 While that’s fine, most people facing a bankruptcy also have issues with their credit report, foreclosures, debt collection violations, robo calls, student loans etc. We handle all of that. 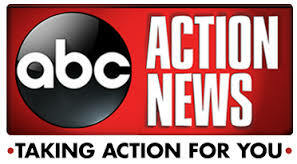 We also have a class action team. One consumer area we don’t handle is vehicles – I don’t know a thing about our lemon laws or other issues regarding vehicles for instance. I’m not suggesting you hire someone who dabbles in bankruptcy to file your bankruptcy. That is probably the worst thing you can do. But hiring a firm that is experienced in bankruptcy plus the other issues you are facing is probably best. We have over 25 years experience in bankruptcy plus a myriad of other consumer related issues commonly faced by our clients. CEC Settlement with States’ Attorneys General: A Huge Step Forward for All Studentkind. Hope Everyone has Recharged and Regrouped After the Holidays! Most of us still use the New Year as an opportunity to review the past year and set goals for the New Year. My own practice has grown tremendously from this goal setting. We target the best strategies to grow our practice and help our clients to get back on track financially. As most of you know, we practice bankruptcy and foreclosure defense as we have for many years, but since student loan debt has become such a crisis, much of our work is focused on eliminating that debt. We have developed different strategies both inside and outside of bankruptcy to reduce student loan debt. A new tool we are adding this year involves the misreporting of student loan debt on credit reports. Put quite simply, the student loan servicers often can’t get it right. They send bills with different amounts owed, transfer the debt so often that it appears duplicate times on a credit report, inaccurately reports payments etc. We intend to hold them accountable. Stay tuned as we hope to blog about this regularly to help our readers recognize when their credit reports may be in error and costing them real money – by denied credit or increased cost of credit, insurance etc. Since last week’s announcement that the Department of Education was forgiving $150 million in federal student loans, many people have reached out to us to see if they may benefit.